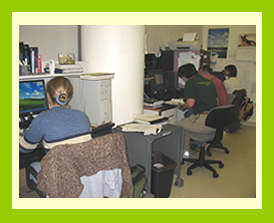 The Parker Lab members are hard at work. 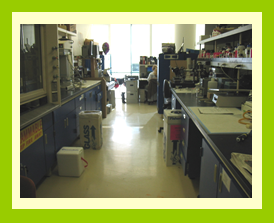 Upon entering the main lab, the molecular biology area is to the far right (not seen). 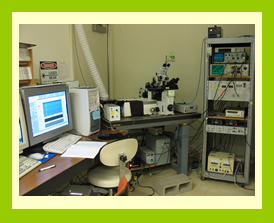 To the left is a lab bench (island) that Dr. Ian Parker uses to make the finishing touches to a two-photon microscope he bulit. 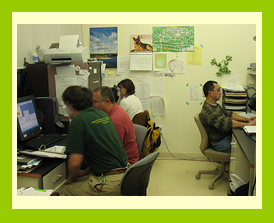 On other side of the lab bench (island) solutions are made, chemicals are stored, and microinjections are perfromed. 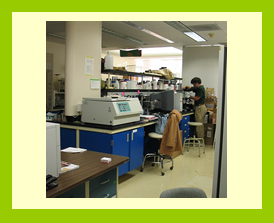 The front left corner of the main lab houses the linescan micoscope system. Dr. Heather J. 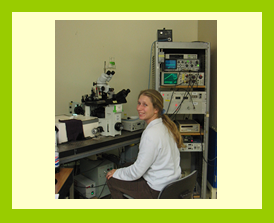 Rose is currently the main person who uses the linescan microscope system. 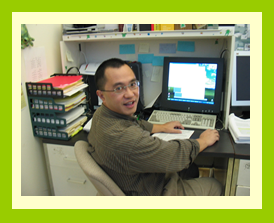 Dr. Jianwei Shaui, the biophysicist of the Parker Lab, uses the least amount of work space, his computer area. 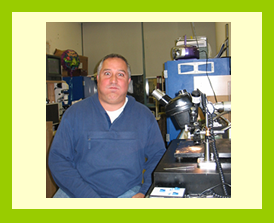 Dr. Angelo Demuro uses the microinjector to inject small volumes of mRNA into Xenopus ooctyes. 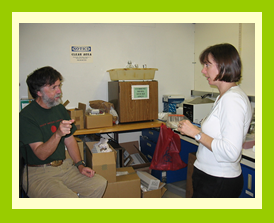 Dr. Ian Parker (left) and Dr. Grace E. Stutzmann (right) uses any free space in the main lab to discuss Parker Lab experiments. 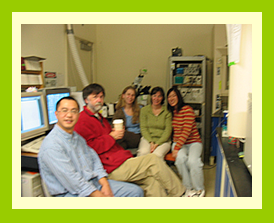 Finally, on rainy days the daily coffee break gets moved to the main lab.